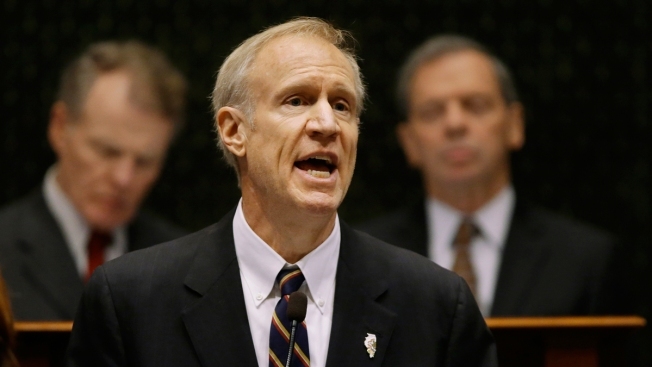 Will Rauner Attend GOP Presidential Convention in Cleveland? A spokesperson for Rauner told Ward Room "We don't have anything on the record at this time"
Governor Bruce Rauner was set to attend his first GOP Presidential Convention as the governor of Illinois. But on Wednesday-- as Donald Trump is declared the likely nominee -- there is silence from his office on whether Rauner will actually go to the Cleveland convention in July. "We don't have anything on the record at this time," a Rauner spokesperson told Ward Room. In March, Rauner said he would support Trump if he becomes the Republican presidential nominee. Texas Sen. Ted Cruz and Ohio Gov. John Kasich suspended their campaigns after Trump won Tuesday's pivotal Indiana primary, leaving the billionaire as the last candidate in the GOP field. The Illinois Republican Party meets in Peoria in a few weeks to pick delegates to the convention, and Rauner was expected to be at that meeting, but now there's no confirmation on whether he will actually attend. Other GOP elected officials from Sen. Mark Kirk to Congressman Bob Dold have already decided they will skip the national convention in July.